SAVE $53.99 on your order today! Ready, set, rest! 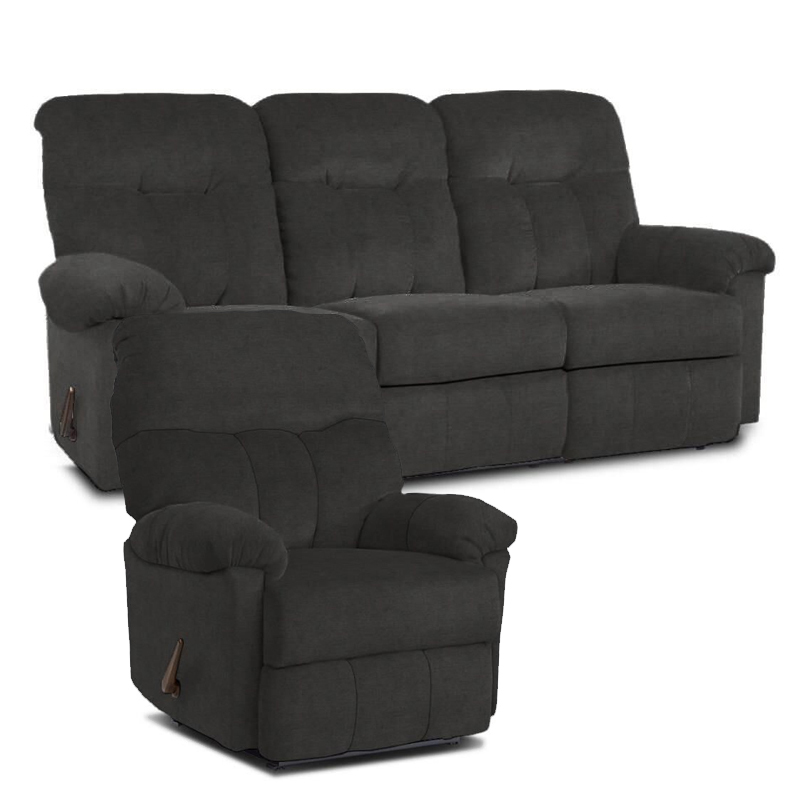 Relax and unwind on the Best Home Furnishings Motion Dual Reclining Sofa and Rocking Recliner Package. Heavily cushioned, these dark gray pieces are a plush paradise of comfort. This snug set features trendy tufting and plump, pillowy arms.